Located on the sunny southern coast of Spain, the port city of Malaga is a destination that's been loved by generations of UK holidaymakers. It may be considered the gateway to the Costa del Sol but Malaga is so much more than a place to pass through. A fantastic holiday destination in its own right, its irresistible cocktail of sun, sea, history, art and architecture makes it the perfect spot for a great getaway. It's a great base if you’re planning to spend some time amid the varying Andalusian terrain, with national parks, beaches and Europe’s only desert within easy reach. But don’t skip out of the city before you’ve had a chance to enjoy everything on offer. Here’s what to see and do in Malaga, including some of the best Malaga attractions and other things to do in the Costa del Sol region. With a long history and a series of rulers from conquering empires, Malaga’s visitors have chance to discover everything from Roman ruins to Renaissance masterpieces. 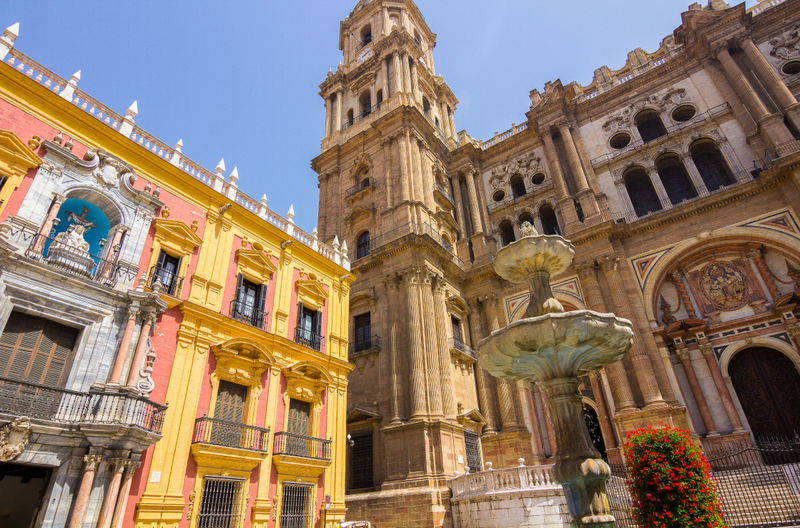 So, start your holiday with a trip to its crowning glory – Catedral de Malaga. Standing on the site of a former mosque, work on Malaga’s cathedral began in the 16th century and was slowly completed over 250 years. The building became a canvas for numerous architectural influences, including Gothic, Renaissance and Baroque styles. Adding to its charm is the fact it’s a little lopsided because one arm of the tower has been left unfinished. If you’re going to visit Malaga cathedral, don’t forget to explore the peaceful gardens (they’re free to visit), as well as the small cathedral museum - this fun diversion can only be accessed by a wooden staircase from inside the cathedral shop. A five-minute walk away beneath blue skies and emerald green palm trees is the Alcazaba Malaga – an 11th century Arabic fortress on Monte Gibralfaro. You’ll feel as though you’ve time-travelled as you walk uphill through Moorish archways, touching the sun-warmed ancient stonework of Malaga castle while admiring courtyards filled with dazzlingly beautiful flowers and trees. Before you do, take some time to marvel at the remains of Teatro Romano de Malaga at the foot of the hill. This Roman amphitheatre dates from 1BC, and some of the tiered seating and stage survives to this day – making it an incredible spot to catch a sunrise if you’re making an early start. With that kind of history on offer in Malaga, it’s not surprising that so many of its major tourist attractions are world-class museums. Malaga has more than 30 of them, but if you only see one, make sure it's the Museo Picasso Malaga. Pablo Picasso was born in Malaga, and it’s here in the Picasso museum that you’ll find over 200 of his sculptures, drawings and other artworks – all displayed in an air-conditioned building with lofty ceilings and plenty of light. The Picasso museum in Malaga is the ideal place for an unhurried afternoon out of the sun. Under 18s get free entry, making it a good family-friendly activity if you’re keeping an eye on your budget. However, if it’s child-friendly things to do in Malaga that you’re most interested in, head straight to Tivoli World in Benalmadena. About eight miles from the centre of Malaga, this theme park is perfect for kids, as well as the young at heart, with log flumes, go karts and roller coasters providing hours of fun. It’s open from 6pm until 1am during July and August. And for something a little different? Make sure you time your visit for the week-long Malaga fair that takes place in mid-August. The streets are filled with people of all ages singing and dancing together, with folk music and flamenco dresses taking centre stage during the day, and fairground rides and flowing fino (a fortified wine) stealing the show in the evening. You’ll be in the best spot to enjoy all that Malaga has to offer if you stay in the city itself. Molina Lario is located opposite Malaga’s beautiful cathedral (and fewer than five minutes’ walk from the waterfront), this hotel is simply decorated but offers a comfortable stay. It also has a rooftop bar – perfect if you fancy sitting outside while the sun is setting with a drink in hand – as well as a swimming pool. If you’re planning to indulge, try Finca Cortesin. It offers the best of Andalusian luxury, with imported 100-year-old olive trees, the scent of jasmine in the air, huge swimming pools and a sublime spa. It truly is a treat, and perfect if you fancy a round or two of golf during your break. Meanwhile, the Petit Palace Plaza Malaga is in the centre of Malaga, right next to the cathedral. This four-star designer hotel boasts bright, stylish rooms, some of which have views of the cathedral. Its location means you're right in the heart of the city, just a few moments' walk from the Picasso Museum, Alcazaba and dozens of tapas bars and restaurants. As well as a wide array of accommodation choices, Malaga offers culinary delights for holidaying foodies. Its subtropical climate and location on the sea makes it the perfect place for plates of fresh fish and mouth-watering seafood. In fact, the locals are even nicknamed ‘boquerones’ (anchovies) for the amount of them that are eaten here. And Malaga's wine is known to be excellent, too. 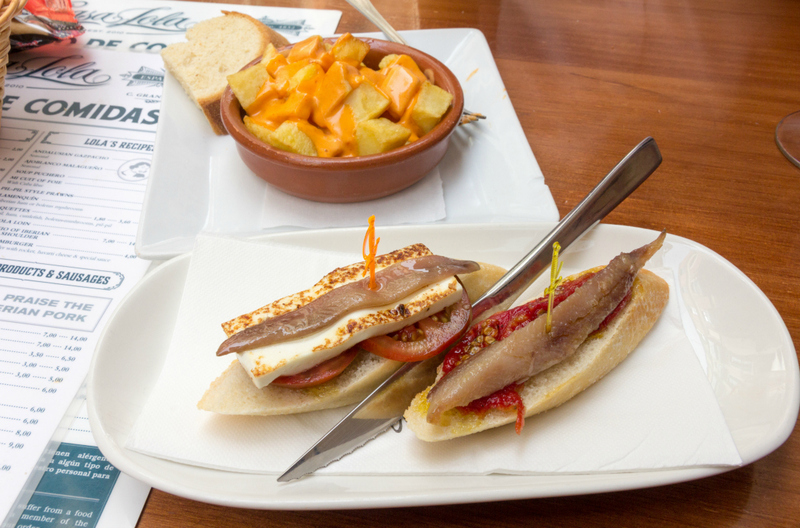 If it’s traditional Spanish tapas you’re after, try El Tapeo de Cervantes – this tapas bar is always busy (a sure indication of the quality of food and service), making it the perfect spot for a little people-watching. Ask the waiter to choose your dishes if you’d like a true taste of the Costa del Sol, or request plates of wild boar and octopus – both are excellent, and you might leave feeling as though you’ve stumbled across the best tapas in Malaga. Or, why not try Mamuchis near the harbour? This quirky establishment serves food from around the world, including Mexican, Spanish, Asian and Greek dishes. Consider booking a table for later in the evening than you usually would at home: dining after 10pm is the norm in this city, so eat late if you want to get a real taste of local life. Of course, no visit to the Costa del Sol would be well spent without a few days lounging on the beach, and Malaga is ideally placed for exploring a number of the best. You’ll find beaches that are geared up for families with small children as well as those that are a bit off the beaten track. The closest beach to the city centre is Playa de la Malagueta – just a short walk away – and it’s close to the park and harbour too. Malaga sands seem to stretch out as far as the eye can see, and the beach is peppered with sun loungers for hire, as well as lots of beach restaurants. Playa de la Caleta is in the affluent suburb of La Caleta and is one of the most popular beaches thanks to its location in the old quarter of the city. Swaying palm trees offer natural shade if you're looking for a break from the sun. If you’re looking for child-friendly beaches in Malaga with amenities such as toilets, showers and free parking, consider Playa del Cristo. It’s an hour’s drive south of the city, but it’s well worth it for its calm water, restaurants and the fact it’s manned by lifeguards. Five minutes closer is Playa de la Rada in Estepona, and it’s arguably one of the best beaches in Malaga. 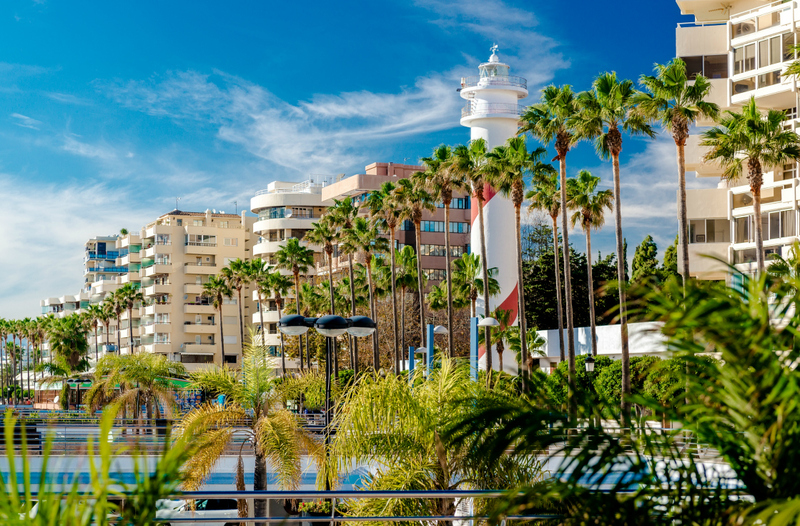 Estepona is a charming town often overlooked by those visiting Marbella – which is a shame given that the seafront is a stretch of silky, fine grey sand – and is easily accessible from Estepona main promenade. As well as having beautiful beaches on its doorstep, Malaga is the perfect base to explore some of rural Andalusia. 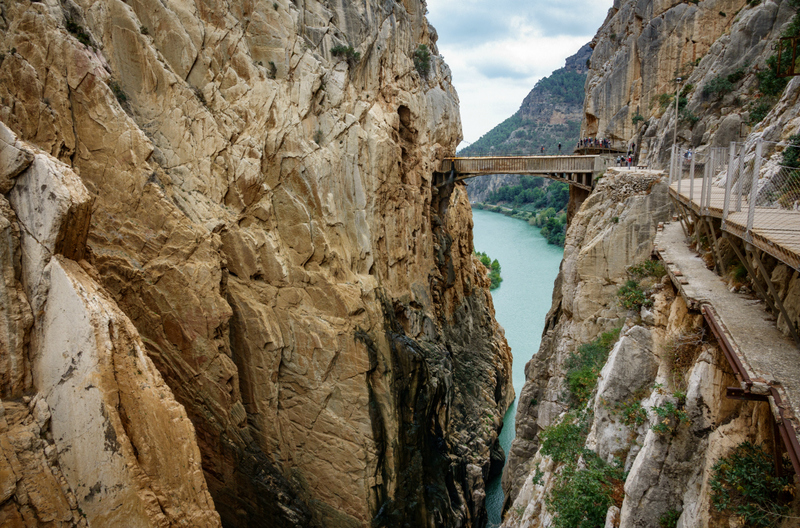 Lace up your hiking shoes for peaceful walks in the unspoiled countryside, or see how you fare on the near five-mile walk through the new Caminito del Rey in El Chorro. This hiking trail has recently been reconstructed to ensure the high-altitude route is perfectly safe for visitors, but you'll still need a thirst for adventure. Not far from Caminito del Rey is the Arabic Escalera, an ancient stone ‘staircase’ nestled between large rocks, and cloaked in folklore and interesting stories. You’ll find it in the Desfiladero de Los Gaitanes Natural Park, and you’ll get to enjoy an excellent view of the luscious green valley below - the perfect accompaniment to clear blue skies. But if you’d prefer to walk on flatter ground, make your way to the Sierra Bermeja Royals Natural Park. The dense cover of Spanish firs provides plenty of shade during the summer heat, and it’s also home to beautiful animals including the Spanish ibex, Egyptian mongoose, golden eagles and roe deer. Malaga’s sightseeing opportunities extend beyond beaches and mountains, with beautiful towns and villages waiting to be explored. The likes of Torremolinos, Marbella and Fuengirola are all within a 20- to 50-minute drive of the city – an easy reach if you have a hire car. Start with Torremolinos, a town nestled between Malaga Bay and the Mijas mountains, that's known for its clean sandy beaches. If you take the steep flight of steps at the end of San Miguel, you’ll end up in the old fishing district of El Bajondillo where you’ll find plenty of shops and market-style kiosks, as well as an array of great spots to enjoy lunch beside the sea. Fuengirola is a great destination if you fancy trying your hand at water sports, and there are lots of golf resorts in easy reach of the town if you’d rather be swinging a club than handling a jet ski. But if you only explore one town outside of Malaga, make it Marbella. This glamorous resort is popular with the rich and famous, so it’s no surprise that it’s been dubbed the 'St Tropez of Spain'. Walk along the waterfront at Puerto Banús to admire the luxury yachts, window shop in designer boutiques, and keep your eyes peeled for celebrities dining in the Michelin-starred restaurants. Then, find somewhere in Marbella’s Old Town for lunch, breathing in the heady scent of bougainvillea climbing up whitewashed walls towards terracotta roofs. Malaga embodies the very best of the great Spanish getaway – combining sunshine, sea and plenty of opportunities for sightseeing – with some real treats in store for those who love art, history and architecture. So, make the most of your time in the city with car hire in Malaga and enjoy all the city has to offer, along with the rest of the wider Costa del Sol region.